Are you suffering from a current or old traumatic experience? Do you find yourself struggling with upsetting emotions, frightening memories, feeling numb, disconnected, or unable to trust others? 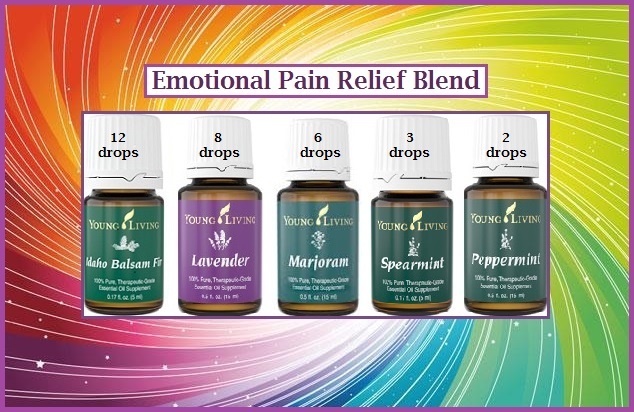 Using the following 100% pure therapeutic grade essential oils’ blend formula may offer a powerful and safe form of therapy for resetting the emotions without dangerous side effects. I recommend using a glass colored bottle to store your mixed Emotional Pain Relief Blend. Massaging the bottom of the feet is exceptionally effective in delivering the benefits of essential oils throughout the body. I like to roll my knuckles up and down the foot, which basically connects with most of the Vita Flex Points.